Mary Sibande, born in 1982, is a visual artist who lives and works in Johannesburg. She obtained a Diploma in Fine Arts at the Witwatersrand Technikon in 2004 and a B-Tech degree from the University of Johannesburg in 2007. Since then, Sibande has taken part in a number of solo and group shows and workshops, both locally, and in the USA and Europe. Sibande was named the 2013-14 Standard Bank Young Artist of the Year for visual art, and her large-scale work depicting the domestic worker-figure 'Sophie' has won her particularly widespread acclaim and recognition. She has also been a resident artist and fellow at various highly prestigious institutions internationally. In Sibande's practice as an artist, she employs the human form as a vehicle through painting and sculpture, to explore the construction of identity in a postcolonial South African context, but also as an attempt to critique stereotypical depictions of women, particularly black women, in our society. Centrally, she looks at the generational disempowerment of black women and in this sense her work is informed by postcolonial theory. In her work, the domestic setting acts as a stage where historical psycho-dramas play out. Sibande's work also highlights how privileged ideals of beauty and femininity aspired to by black woman cause them to discipline their bodies through rituals of imitation and reproduction. This book brings together, for the first time, high-quality photographic reproductions of Sibande's work together with a critical and theoretical interrogation of it. 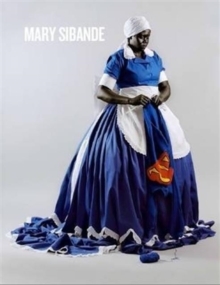 Five prominent critics - Christine Eyene, Ruth Simbao, Ashraf Jamal, Mary Corrigall and Mpho Matsipa - explore their reactions to Sibande, in a beautifully designed collection edited by curator, academic and writer Thembinkosi Goniwe.